Rev. Denis Casco was then director of Latin American Ministries for the denomination, starting and overseeing Hispanic UB churches in California, Texas, and elsewhere. 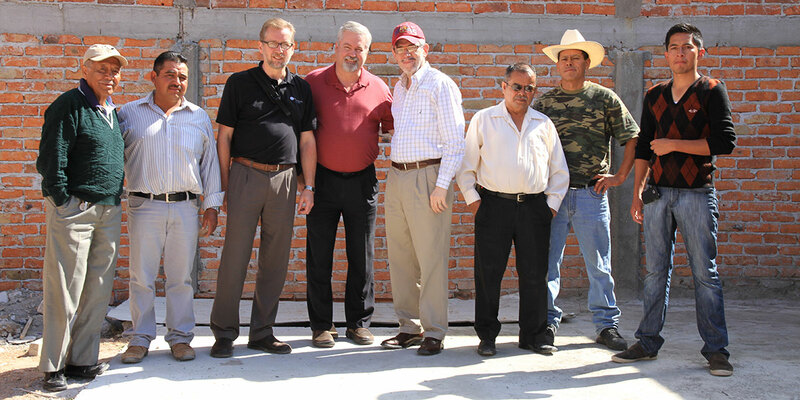 He began connecting with the churches in Mexico, and strong relationships were formed. At the 2005 General Conference, Mexico was accepted as a national conference in the worldwide United Brethren Church. Mexico chose Denis Casco as its bishop. Most of the Mexico churches are located in the central part of the country, near Mexico City. However, there is also a cluster of churches located in Juarez, Mexico, and El Paso, Texas, two cities which face each other across the border. This means some Mexico Conference churches are actually located in the United States. They are also developing a work in the southern part of the country, including ministry to the indigenous Tarasco people. 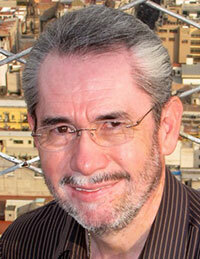 Denis Casco is bishop of Mexico Conference. Bishop Denis Casco is a native Honduran, the son of Rev. Arturo Casco, a highly respected pastor and church planter in Honduras Conference. Denis was trained as a lawyer and worked for World Vision International in Honduras. 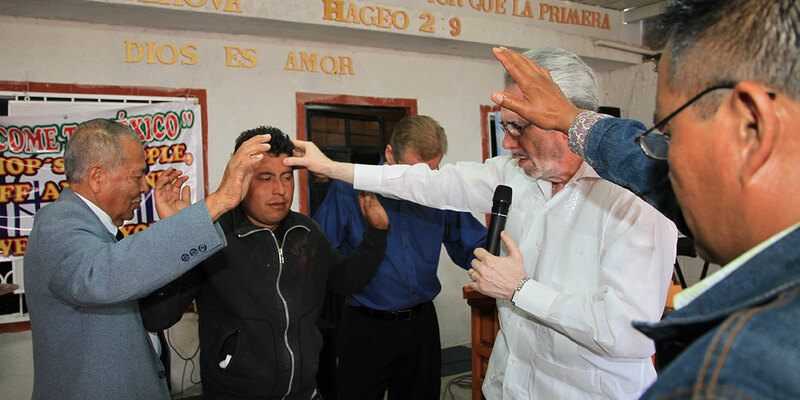 In 1988, Global Ministries invited Denis Casco to come to the United States to be director of Latin American Ministries. As an employee of Global Ministries, he would both start and oversee Hispanic churches from a base in the Los Angeles area. At the time, several UB Hispanic churches existed in California, all sharing facilities with an Anglo congregation. Those churches would not come under his authority. Instead, he pioneered in starting new churches. Latin American Ministries was soon overseeing a handful of churches in the Los Angeles area—in Baldwin Hills, Glendale, Harlem, Canyon Country, Oxnard. Denis pastored the Glendale church for a while, and then turned it over to his wife, Reina. An array of other pastors joined him in what became a very fluid church environment, with people constantly coming and going. Rev. Casco also connected with Hispanic churches in other states, including Illinois, Texas, Ohio, and Florida. 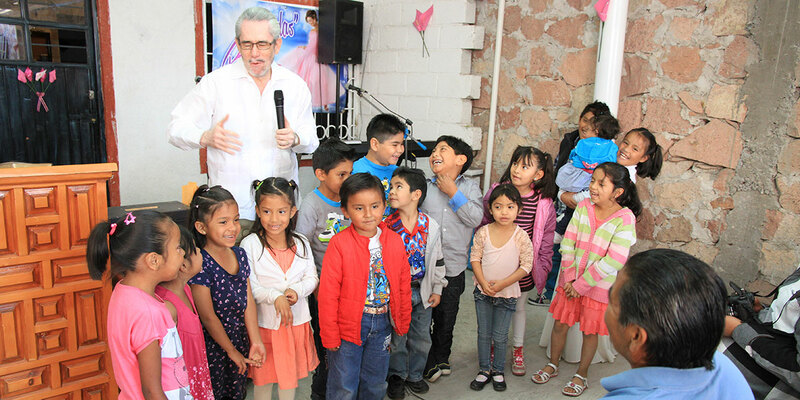 Relationships in the California churches brought him into contact with a group of independent churches in central Mexico, to which he began giving general oversight. When Latin American Ministries drew to an end in 2003, Denis maintained his work with the churches in Mexico and Juarez/El Paso. Denis and Reina continue living in the Los Angeles area, where Reina is pastor of the Glendale church (which is no longer United Brethren). They have three grown daughters. Before Columbus discovered the New World, a number of advanced civilizations flourished for 4000 years in Mexico—the Olmecx, Toltecs, Zapotecs, Maya, Aztecs, and others. The Aztecs held sway in 1519 when the Spanish conquistador Hernando Cortes invaded the country. Cortes conquered the Aztecs in 1521 after capturing the city of Tenochtitlan, located where present-day Mexico City now stands. Smallpox and other European diseases killed millions of Aztecs across Mexico. Spain administered Mexico as the viceroyalty of New Spain for the next 300 years. In 1810, an insurgency began which led, in 1821, to Mexico gaining its independence from Spain. A Mexican guerilla general declared himself to be the emperor of the First Mexican Empire, but he was overthrown two years later, and the United Mexican States came into being. The decades that followed included economic instability, civil war, foreign intervention, two empires, two lengthy dictatorships, and various uprisings. Texas won its independence and was later annexed to the United States. The US invaded in 1946, resulting in Mexico giving up nearly half of its land to the United States—including California and New Mexico. The Mexican Revolution of 1910, and the 1917 Constitution, yielded the current political system. The Institutional Revolutionary Party held power for over 70 years. Finally, in 2000, an opposition party, the National Action Party, won the presidency for the first time. 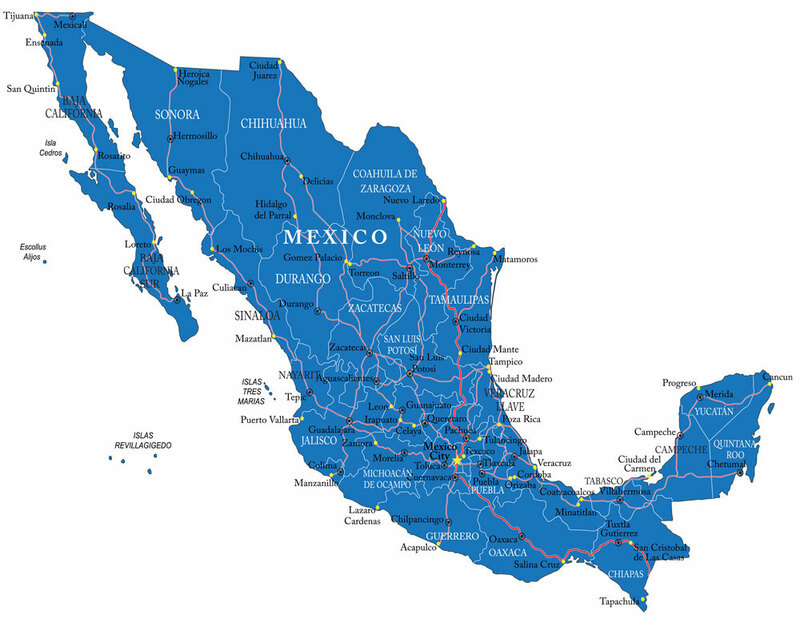 Mexico is divided into 31 states, each of which has its own Constitution and an elected governor.